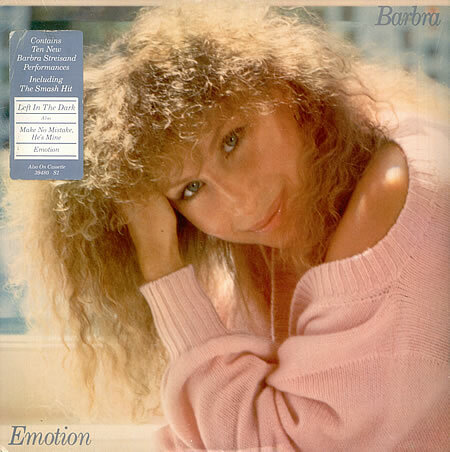 Barbara Streisand’s 1985 studio album Emotion was considered a commercial disappointment at the time of its original release. As fate would have it, time has been kind to this project and today it is considered one of her best efforts. The premiere single Left In The Dark Again remains a popular number during her live appearances. It’s a very involving song but its length may have added to the reason it didn’t receive a lot of the crucial airplay it needed to become a hit. At six minutes, twelve seconds it is undeniably much longer than most hit records of its period. Emotion is still one of my favorite Streisand albums. I get out the vinyl and play it all along even now to remember how I adored this one when it was new. I was all of eighteen years old and divas like Streisand were my favorite entertainers back then. They still are, I guess, and albums like Emotion are the reason why. The video for Left In The Dark Again is a noir, if you will. A short movie, Kris Kristofferson appears in it with Barbra and the effect of these two together is quite powerful indeed. The whole thing was a big dream that got away, but Emotion stands as a classic.